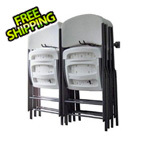 The Large Folding Chair Rack by Monkey Bars allows you to store 12 to 15 folding chairs of various sizes. 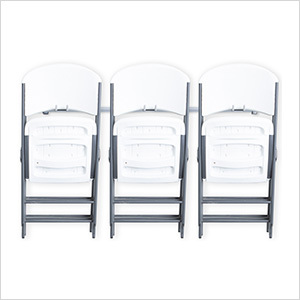 The folding chair rack can be installed in about 15 minutes. This is great for those who like to host parties but don't have a solution to store chairs without tripping over them in the garage. The chair rack is not limited to any particular size of chair.